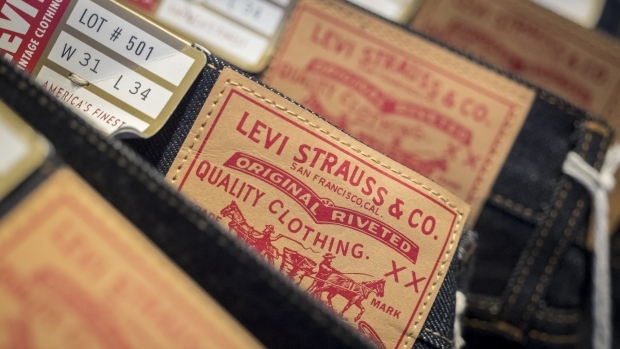 The Levi Strauss & Co. initial public offering has gotten a warm reception from investors, who are being advised to place their orders above the publicly disclosed offering range, according to a person familiar with the matter. The jeans maker is offering shares at US$14 to US$16 each in an IPO that’s expected to price on Wednesday after the market closes. Raising up to US$675 million, it could become the year’s largest U.S. listing to date. A total of 36.67 million shares are being offered, with the company offering 9.47 million of those and the remainder coming from existing holders. A spokesperson for the company declined to comment. Bloomberg Intelligence on Tuesday called the IPO valuation "too skinny" given Levi’s prospects for apparel-share gains as denim makes a comeback.